Loaded with vegetables and fresh basil flavor, this pasta dish is fresh and lively. Use whole grain pasta for a healthy addition. Toss red and yellow peppers, zucchini, mushroom and onion with oil. Season with salt. Preheat George Foreman Grill for 5 minutes with lid closed. Place vegetables on grill, cook for 5 to 7 minutes or until tender and well-marked. Cool slightly and cut into bite size pieces. Meanwhile, toss tomatoes with basil, olive oil, garlic, salt and pepper. 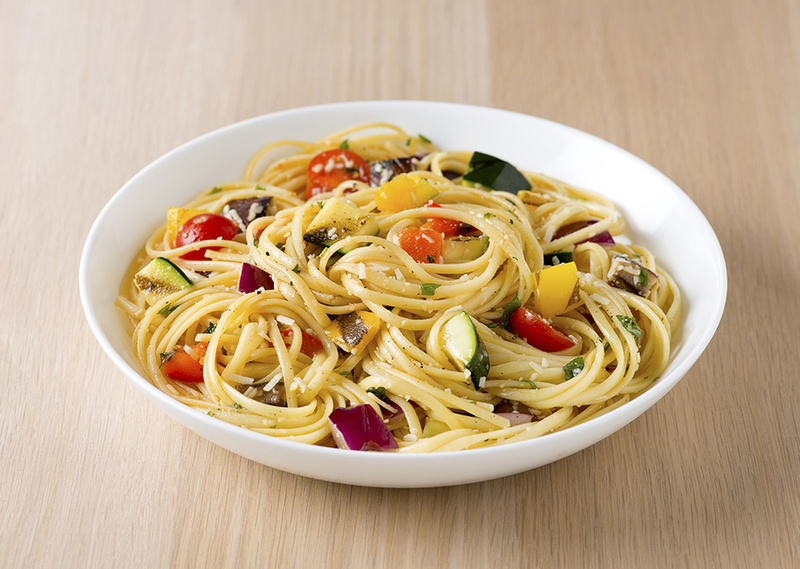 Stir in pasta, Grilled Vegetables and Parmesan cheese. Serve warm or room temperature. Tip: Grilled asparagus is also a nice addition to this pasta.